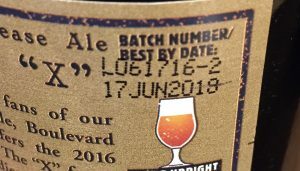 In the interest of greater transparency for beer drinkers and our relentless commitment to beer quality, we’ve recently made some changes to the packaged on and best by dates printed on our bottles, cans and keg rings. The above picture shows the dates codes that will be printed on all 12 ounce bottles. 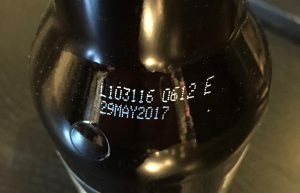 The top line (beginning after the letter "L" which stands for lot) indicates the date and time that the beer was bottled. The letter indicates the bright beer tank from which the beer was packaged. We currently have six bright beer tanks that are lettered A-F. The second line of the code is the best by date. The bottle pictured was filled on October 31, 2016 at 6:12 am from bright beer tank E. The best by date is May 29, 2017. This picture shows the date codes we use on 750 ml bottles of Smokestack Series year-round and seasonal beers. 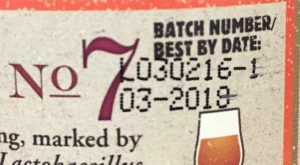 The top line of code indicates the date on which the beer was bottled and which run it was. 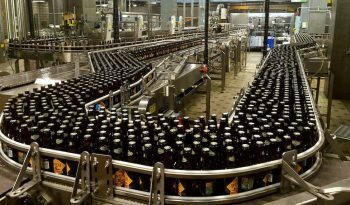 We operate a slower bottling line for Smokestack Series 750 ml bottles so runs are typically broken up over a couple of days. This bottle was filled on June 17, 2016 and was the second bottling run of this beer. As with 12 ounce bottles, the best by date code remains the same. This bottle is best by June 17, 2018. Smokestack Series Limited Release 750 ml bottles like Saison-Brett, Rye on Rye on Rye or as shown in the above picture, Love Child No. 7, will carry the same bottling date code as year-round and seasonal releases, but the best by date will be listed in a month/year format. This bottle of Love Child No. 7 was filled on March 2, 2016 and was part of the first run. It is best by March 2018. 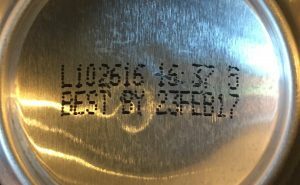 As with 12 ounce bottles, canned Boulevard beers carry two lines of code that indicate the packaged on date and time as well as a best by date. This can was packaged on October 26, 2016 at 4:37 pm and is best by February 23, 2017. The format for kegs rings is a little different, but shares the same information as the above date codes. This keg of 80-Acre Hoppy Wheat Beer was racked on November 8, 2016 from bright beer tank A. Its best by date is March 8, 2017. Additionally, all of our closed six-pack carriers have date codes printed on the exterior in the same format as the bottles inside.